When you factor in the total cost of living in big cities like Chicago, it may make sense to rent out your home to earn some extra cash. But before posting an Airbnb Chicago listing and hoping that someone will stumble on your cute cottage, cosy apartment or giant mansion, read these tips to make sure you earn a fair amount, estimate the costs more accurately, and keep Uncle Sam happy. If you live in the Chicago downtown area, spice up your Airbnb listing with information about local tourist attractions, restaurants, and bars. Although photos of your residence will be the most compelling reason for a visitor to choose your listing over another similarly priced one, Airbnb customers also want to know how convenient it is to walk to a local diner, grocery store, public transportation or even a wine bar. As an Airbnb Chicago host, you need to stand out from the pack to ensure visitors spot your listing. And one of the best ways to ensure your listing is selected is to apply filters to your photos. A few glossy images with photo effects can transform an ordinary visual to look extraordinary. Instagram grew quickly because it made it easy for users to apply photo effects to ordinary images. To enhance images of your home, all you need to do is download the Instagram app onto your iPhone or Android device and take a few snaps. If you don’t wish to use Instagram, which is owned by Facebook, you can add textured backgrounds, chromatic, lens flares, and black & white effects using any good photo editor, like BeFunky. With your images sparkling and grabbing attention, the next step is to ensure your headline stands out. The best way to get someone to click on your listing is to include a benefit, such as Free Parking. Or you could add descriptive language, such as luxury high-rise, sunny room, new XXL private room, spacious affordable loft, family friendly Chicago getaway, cute room, or just minutes from downtown. Once you have picked your best photo to feature and come up with a catchy title for your listing, the next step is to pick a price. You don’t have to scratch your head too long when it comes to setting pricing for your listing. Airbnb has a Smart Pricing tool designed to help hosts price listings more competitively in order to maximize earnings from the platform. Airbnb Smart Pricing changes the price of your listing to factor in local demand. For example, you might be ordinarily tempted to keep your home listed at the same price all year round but if a big sporting event is taking place in Chicago, demand for rentals will probably increase and you may be able to earn even more. The Smart Pricing algorithm constantly monitors market conditions in Chicago and other regions, and continually modifies prices to reflect market changes with no extra effort needed on your part. It is well worth giving the Smart Pricing tool a shot because you may otherwise miss out on higher earnings when demand spikes. And it also helps you to avoid a common pitfall: attempting to undercut your competition. While it is tempting to look at the pricing of nearby listings and charge a lower amount, this pricing strategy can backfire because customers may start to wonder if there’s a “gotcha” and select your neighbor’s listing instead. Plus, you can be confident that Airbnb has tested its pricing tool carefully because when you make money, Airbnb makes money. And the more money you make the more money they make, so the Smart Pricing tool is designed to optimize how much you make by sidestepping the risk of a missed opportunity by pricing too low or too high. If you still prefer to select your own prices, keep an eye on when large business conferences or sporting events are due to be held, and consider increasing your prices around those times. During other times, you may wish to compare the prices of local listings and slightly undercut your competition so you attract consumers who are price sensitive without scaring away those who may keep searching if your listing price is too low. As an Airbnb host in a popular city like Chicago, you may be surprised by how much demand there is for your listing. And it’s easy to become starry-eyed and drift off to a place in your mind where you start thinking about how much money you are going to make. But before spending the money before it hits your bank account, plan for the inevitable increase in costs to maintain your abode. With more guests, you can expect to pay more for cleaning services. You can save a bunch of money cleaning yourself, but that may quickly become cumbersome, and a professional cleaning service may save you a bunch of time too. After all, you should factor in the opportunity cost if you are spending a lot of time cleaning up after guests. If you could earn more money spending the time on other activities then it’s probably not worth cleaning up after guests yourself. You may need to replace items more frequently too when renting out your home on Airbnb too. Bed linens, bathroom towels, cutlery, shower curtains, and even furniture may need to be replaced or repaired faster than you estimate. Plus, guests tend to be less economical about turning off lights and heating than are hosts who pay the bills. The bottom line is you should expect a spike in monthly billing charges from your utility providers. To save yourself higher monthly costs for heating and electricity, consider placing a few notes around your residence in conspicuous places that communicate how good it is for the environment to turn off lights and heating when leaving the home. A guest who may otherwise have been likely to use a fresh towel each day may be nudged towards a behavioral change that is both good for the environment and lowers the hotel’s operating costs. The cost of wear and tear isn’t the only cost you will incur when renting out your home. You will also pay Airbnb a fee of 3% that covers the cost of processing payments. Guests pay Airbnb a fee between 6% and 12% to cover operating costs that Airbnb incurs. As a host, you have the option to charge a cleaning fee to guests so it is possible to offset some of the costs you would otherwise pay for alone. Most hosts also require a security deposit. The idea is to protect the host from significant damage, but it won’t be paid out unless the host, guest, and Airbnb all agree to the charges. Keep in mind that any payments due to hosts will not be made until 24 hours after check-in. Although guests pay the full amount at the time of booking, Airbnb holds the money until a full day after guests check in. Whether a guest books your place a few days beforehand or many months in advance, you won’t get paid until after they check in. 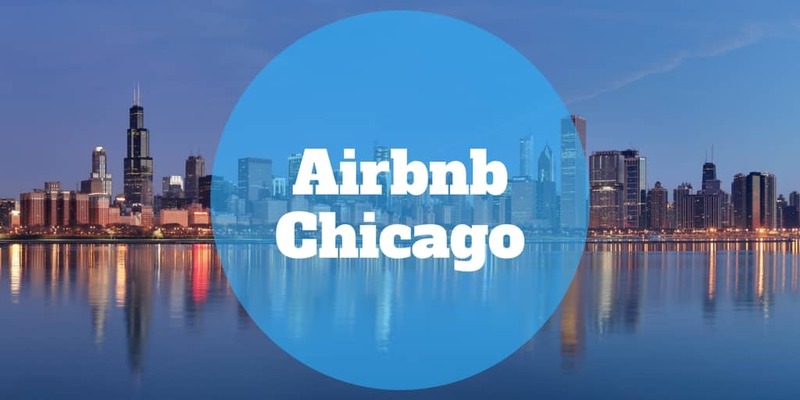 But don’t be tempted to get paid sooner by soliciting a cash payment because it is a violation of Airbnb rules and may risk you getting booted off Airbnb Chicago. 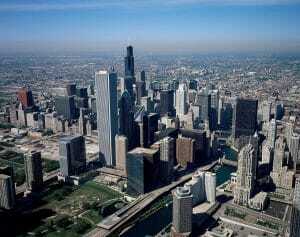 Sadly for visitors to Chicago, a local ordinance was passed in 2016 which led to a 21% increase in taxes. The short-term rental ordinance added 4% to the 17.4% hotel tax already in place. And it also added a provision whereby rental hosts would be tracked by requiring Airbnb to submit a list of host addresses. So, if you were thinking to pocket a little extra change on the side without declaring it to Uncle Sam, think again. However, it’s not all doom and gloom when it comes to paying taxes on Airbnb income. You are only required to pay taxes when you rent out your home for 15 days or more each year. And you can probably deduct expenses from your rental income, though you should consult with your tax attorney to confirm which costs can be deducted. Why does a guest pay more than I receive? Other than the cleaning fee, can I add other fees to guest bills? If you want to charge additional fees for pets, bike rentals, or late check-in you may do so but you will need to disclose those fees in advance to guests. Any fees that are not incorporated into the pricing charged to guests are not the responsibility of Airbnb to collect. Can I add a host management service? Third party companies that help with key exchanges, listing management, and cleaning are not affiliated with Airbnb, so even if you use them, Airbnb will still expect you to maintain high standards. ‹ Can I Retire Yet?